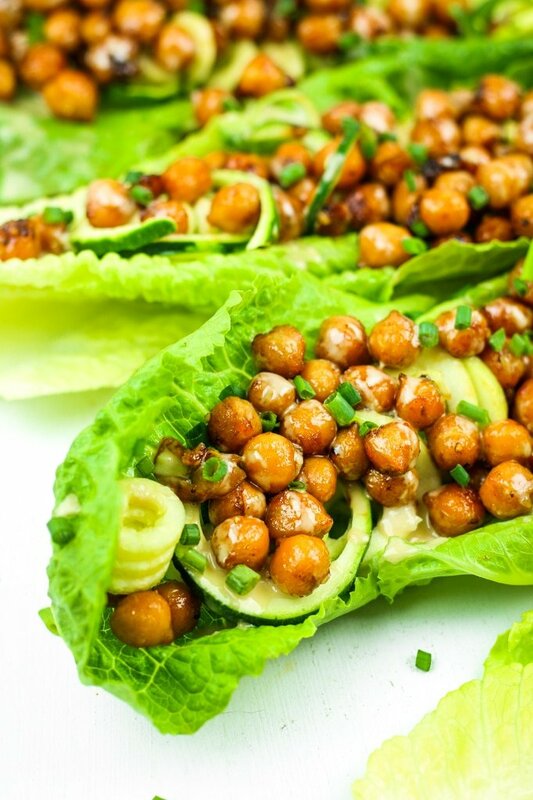 These sweet and spicy chickpea lettuce wraps are filled to the brim with flavor, protein, and fiber. The whole recipe comes together in under 20 minutes. They’re super filling – perfect for lunch, dinner, or meal prep! Lettuce wraps! Do you love them? Do you hate them? Do tell! It seems like lettuce wraps get a bad rep – they’re “not filling,” they’re “boring and bland,” or they’re not even healthy (looking at you, P.F. Chang’s). But that’s not how we do lettuce wraps around here. ‍♀️ If you’re gonna eat something green and good for you, it’s gotta taste good too. 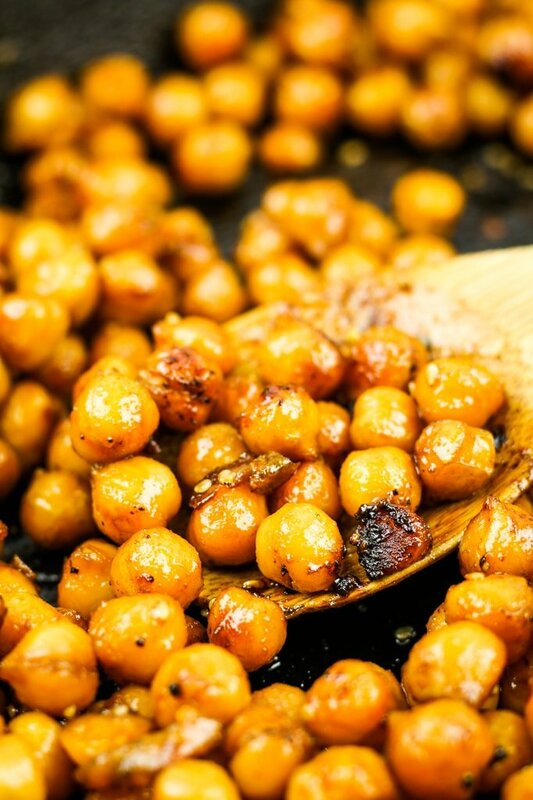 So we’re jazzing up some plain ol’ chickpeas with my favorite sweet and spicy marinade for sticky, caramelized perfection. 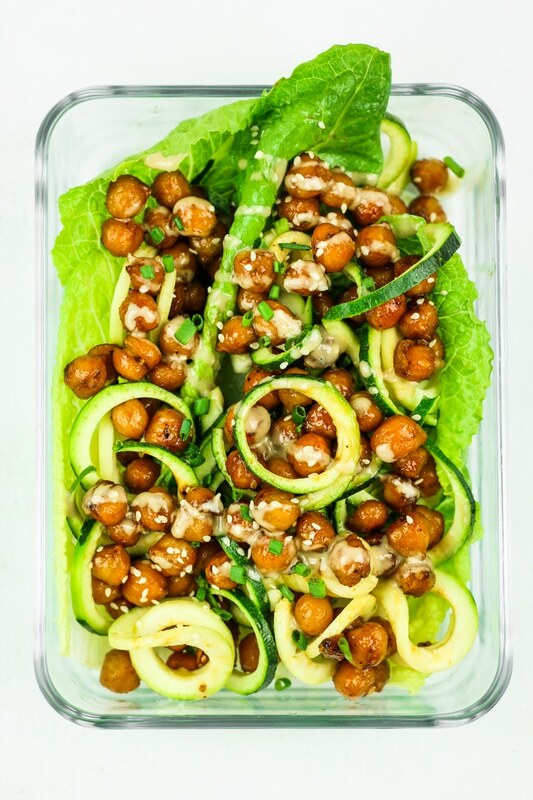 Then we’re loading up crunchy romaine leaves with zucchini noodles – completely optional, but highly recommended – and piling the chickpeas on top. Drizzle some tahini over top and BOOM. We are in not-boring, super-filling, tasty-AF chickpea lettuce wrap flavor town! For easy lunches or meal prep, I like to cook the chickpeas in the sweet and spicy sauce ahead of time. I also get all of my lettuce cleaned and dried. Store both in the fridge separately, then assemble the lettuce wraps whenever I’m ready to eat. This keeps the lettuce niiiiiice and crispy.  Pro tips for meal prep success. OK! Now, go make these lettuce wraps ASAP and show off your skills on the ‘gram. 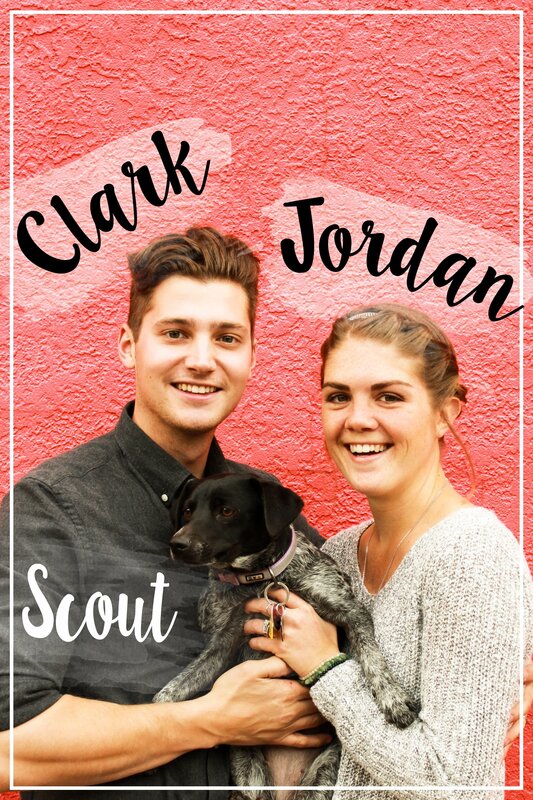 I wanna share your pictures on IG stories! 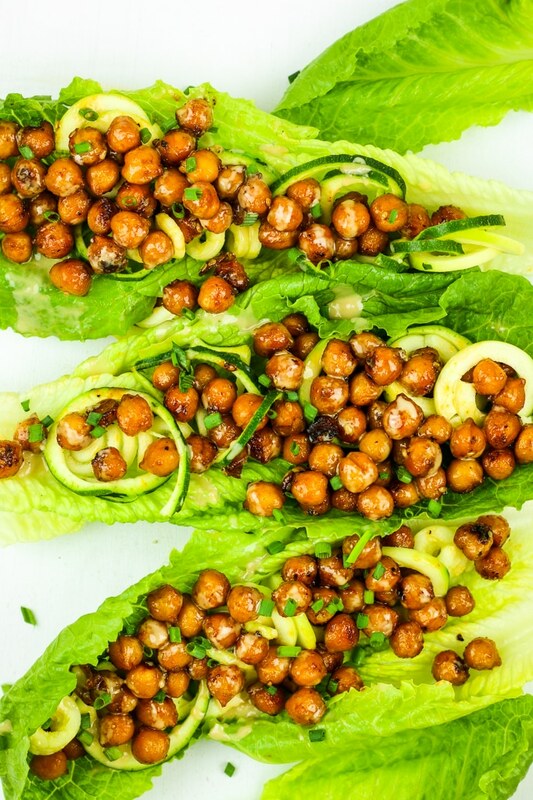 These sweet and spicy chickpea lettuce wraps are filled to the brim with flavor, protein, and fiber. The whole recipe comes together in under 20 minutes. They’re great for lunch, dinner, or meal prep! Add oil, tamari, made syrup, sriracha, pepper, ginger powder, and sesame seeds to a mason jar. Shake to combine. In a large skillet, add chickpeas and sauce. Sauté 10-12 minutes and then remove from heat. Allow to cool slightly. 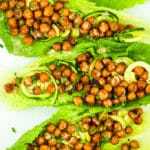 If using zucchini noodles, spread a layer into the lettuce leaves. Then top with chickpeas. your instructions state sesame seeds, but your ingredients doesnt show them listed?? Thank you for pointing that out! The sesame seeds are more of a garnish than an ingredient in this recipe. Wow this sounds soooooo yummy! !